GENERAL GUIDELINES: Our goal is to meet every guest and group promptly and efficiently. Clients and guests can usually obtain the name and cell phone number of their chauffeur or bus captain by calling our office on the evening prior to the scheduled pickup. We request all clients provide a cell phone number for the lead guest as well as an emergency backup number. We will automatically meet our guests with a name sign at airports. Vehicles for larger groups will have a name sign in the window on the passenger side or right front windshield area. The sign will have the guest or group name. Separate pickup instructions may be substituted for any trip, but may incur additional charges. √ DEFAULT OPTION: If no other instructions are given (such as “authorized wait”), we will be waiting in front of the building, inside the vehicle. If the guest has not appeared at the appointed time, we will text or call the guest or client phone listed in the reservation. If there is no answer we will leave a message. We will wait 10 more minutes and then call each of our contact numbers. If we have not yet heard from the guest or client, we will call each of our contact numbers every 10 minutes until 30 minutes after the appointed pickup time. If we have not been able to contact the guest after 30 minutes, we will assume the guest is not coming and “NO SHOW” charges will apply. °OPTION TWO – NO CALLS: We will be waiting in front of the building, inside the vehicle. If we have had no contact by the guest after 30 minutes from the appointed pickup time, we will assume the guest is not coming and any “NO SHOW” charges will apply. °OPTION THREE – AUTHORIZED WAIT – ONE TEXT/CALL: We will be waiting in front of the building, inside the vehicle. If we have not heard from the guest or client by 1 hour after the appointed time, we will call each of the contact numbers starting with the client and leave a message. After 2 hours, we will call each of the contact numbers again, starting with the client. If we have not been able to make contact, we will assume the guest is not coming and “NO SHOW” and “WAIT TIME” charges will apply. If this is not a sufficient amount of weight time, please let your reservation agent know at time of booking. √ DEFAULT OPTION: If no other instructions are given (such as “authorized wait”), we will be waiting in front of the building, inside the vehicle. If the guest has not appeared by 10 minutes after the appointed time, we will text or call the guest or client phone listed in the reservation. If there is no answer we will leave a message. We will wait 10 more minutes and call each of our contact numbers. At 30 minutes after the appointed pickup time, we will call each contact number again and if we have not been able to make contact, we will assume the guest is not coming and any “NO SHOW” charges will apply. If no other instructions are given, we will park as close to the entrance door as safely possible, exit the vehicle and announce our arrival at the door or reception area. In many locations, we cannot leave the vehicle. If that is the case and if the guest has not appeared at the appointed time, we will text or call the guest or client phone number listed in the reservation. If there is no answer we will leave a message. We will wait 10 more minutes and call each of our contact numbers. If we have not yet heard from the guest or client, we will call each of our contact numbers every 10 minutes until 1 hour after the appointed time. If we have not been able to contact the passenger after 1 hour we will assume the passenger is not coming and any “NO SHOW” charges will apply. Outside – Meet curbside at baggage claim. Inside – Meet at baggage claim carousel listed for the passenger’s flight number. Outside – Meet curbside on the baggage claim level under the sign that says “Limousines & Shuttles”. Inside – Meet at baggage claim level, visitor’s center at the bottom of the escalator. Outside – Middle level, ground transportation curbside – must coordinate with chauffeur. Outside – Meet curbside on the baggage claim level under the sign of the appropriate airline – must coordinate with chauffeur. Inside – Meet at baggage claim carousel listed for the passenger’s flight number, incurs additional charge. Outside – Meet curbside on the baggage claim level outside the agreed up door (1-18) – must coordinate with chauffeur. Outside – Meet curbside, outside the center door, in the third lane over. Inside – Meet at the bottom of the escalator on the baggage claim level. √ DEFAULT OPTION: If no other instructions are given, we will be OUTSIDE WAITING and will pull up curbside when the guest texts or calls the chauffeur or calls our office. If we have not heard from the guest within 15 minutes of the actual flight arrival, we will text or call the guest and client phone as listed in the reservation. If there is no answer we will leave a message. We will wait 10 more minutes and call each of our contact numbers. If we have not yet heard from the passenger or client, we will call each of our contact numbers every 10 minutes until 30 minutes after the appointed pickup time. If we have not been able to contact the guest after 30 minutes, we will assume the passenger is not coming and any “NO SHOW” charges will apply. °OPTION TWO: – INSIDE MEET AT BAGGAGE CLAIM: We will be waiting at the designated guest meeting area shown below for each airport. If we have not located the guest within 15 minutes of the actual flight arrival, we will text or call the guest and client phone numbers as listed in the reservation. If we have not yet heard from the guest or client, we will call each of our contact numbers every 10 minutes until 30 minutes after actual flight arrival – then we will assume the guests are not coming and any “NO SHOW” charges will apply. °OPTION THREE: – INTERNATIONAL ARRIVALS ($25.00 EXTRA): DUE TO DELAYED CUSTOMS CLEARANCE TIMES WE CHARGE $25.00 FOR THE FIRST 60 MINUTES OF WAITING TIME AND OUR REGULAR HOURLY RATE THEREAFTER. 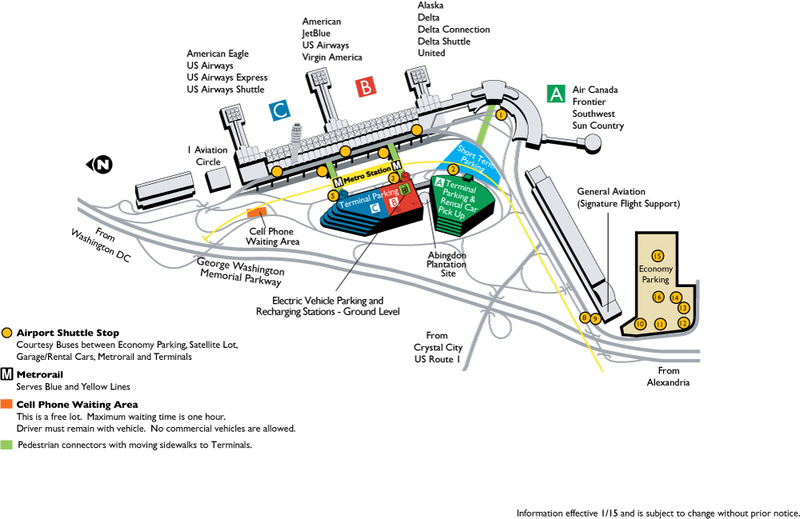 : We will be waiting at the designated guest meeting area shown below for each airport. If we have not located the guest within 30 minutes of the actual flight arrival, we will text or call the guest and client phone numbers as listed in the reservation. If there is no answer we will leave a message. If we have not heard from the guest or client, we will call each of our contact numbers every 10 minutes until 60 minutes after the appointed pickup time. If we have not been able to contact the guest after 60 minutes, we will begin waiting time charges. We will wait a combined total of 90 MIINUTES after the flights actual arrival and; if we have not heard from the guest or client, we will assume the guest is not coming and any “NO SHOW” charges will apply. If no other instructions are given, we will park in the oversized vehicle lot and wait for the guest to text or call after they have collected their belongings and are prepared to move to the designated oversized vehicle pickup point on the curb. If we have not heard from the guest within 15 minutes of the actual flight arrival, we will text or call the guest and client phone as listed in the reservation. If there is no answer we will leave a message. We will wait 10 more minutes and call each of our contact numbers. If we have not yet heard from the guest or client, we will call each of our contact numbers every 10 minutes until 30 minutes after the appointed pickup time. If we have not been able to contact the guest after 30 minutes, we will assume the guest is not coming and any “NO SHOW” charges will apply. If no other instructions are given, we will always request a TARMAC MEET. If that is impossible, we will be waiting inside the lounge/baggage claim area. We will be onsite at least 15 minutes prior to the scheduled arrival of the plane and will attempt to check progress of the flight. If we have not located the flight within 30 minutes of the scheduled arrival, we will call the guest and client phone numbers as listed in the reservation. If we have not yet heard from the guest or client, we will call each of our contact numbers every 10 minutes until 90 minutes after scheduled flight arrival – then we will assume the guest is not coming and any “NO SHOW” charges will apply. When meeting a celebrity or well-known, high-profile public figure, a name sign will be used unless the chauffeur and guest know each other. Alternative wording or name for the sign may be specified by the client. The chauffeur will be at the baggage claim carousel assigned to the guest’ flight number. Please thoroughly review the local pickup procedures when working with reservations at any airport that the guest may not be familiar with. An additional Meet & Greet ($45 per hour/$90 minimum) may also be arranged which might include a greeter permitted past security to meet the guest or an additional person meeting the guest to assist with bags or to walk the guest to the waiting vehicle and chauffeur. In reverse, a separate greeter for outbound guest might be able to pre-issue a boarding pass and luggage tags if furnished with enough ticketing information to access these through the airlines. We also work with third-party airport ambassadors as requested.